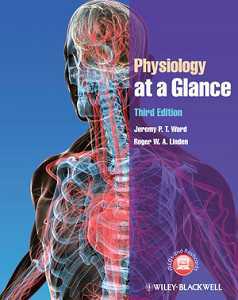 This revised and updated edition of Physiology at a Glance features clear and concise illustrations, memorable data tables, and easy-to-read text, to provide a thorough introduction to physiology that integrates seamlessly with the medical school curriculum. Physiology at a Glance breaks the topic down into its core components, dealing with structures of the body from cellular level to composite systems. 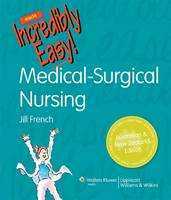 Each chapter focuses on an element of the body and explores vital concepts to aid students at all levels of their training. Physiology at a Glance: ?Introduces basic biological principles in easy-to-follow spreads, followed by thoroughly revised and updated systems-based chapters ? Features completely revised or brand new chapters and figures, including introductory chapters on homeostasis, blood, haemostasis and immunological defence mechanisms ?Is fully supported by a companion website at www.ataglanceseries.com/physiology featuring online access to over 200 self-assessment questions from the book, downloadable flashcards, and revision notes With its straightforward approach to explaining the functions of the body, Physiology at a Glance provides medical, dental, health science and biomedical students with a thorough understanding of an often complex subject.